The shipyard Amico & Co has successfully completed the reconstruction of Passenger Yacht Queen Miri, after a 16-month works period. The yacht has now successfully completed her first summer period. 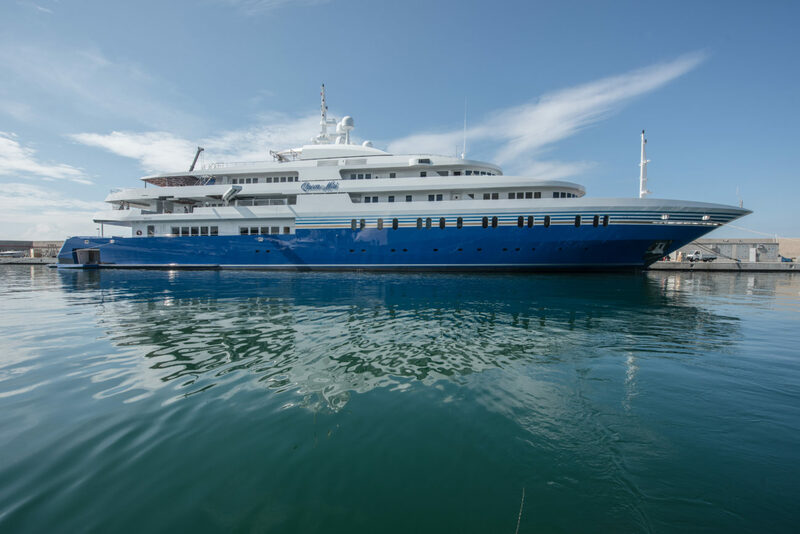 The refit carried out on PY Queen Miri (previously known as Delma) is the most important refit project completed by Amico & Co and is one of the largest projects of its kind ever performed on a yacht. 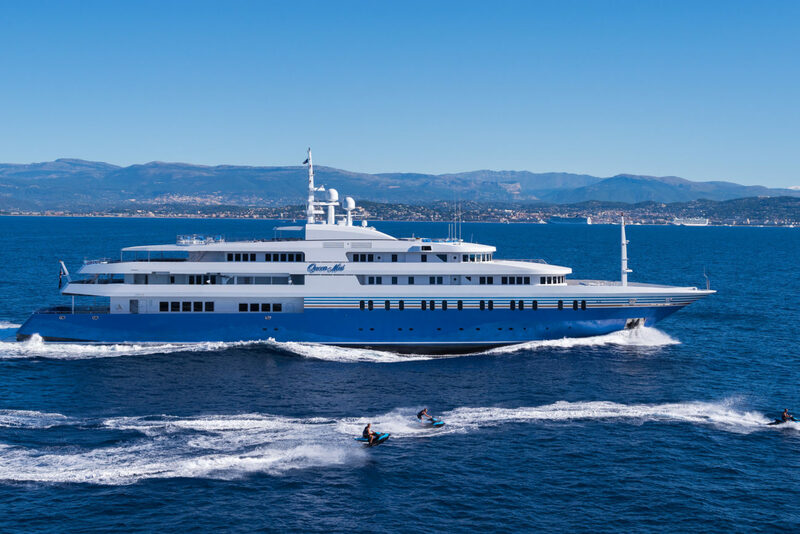 Commissioned by an American businessman, active in the hospitality and gaming sector, the tender was assigned to the shipyard Amico & Co, beating tough international competition, made up of the major Northern European shipyards specialised in tenders with this sort of scope of works. The size and complexity of the various works, entirely carried out in the new graving dock inside the shipyard area, required a dedicated management team made up of 10 Technical Managers and required an average daily presence of around 200 workers, with peak working times seeing 400 specialised workers on the job. · complete reconstruction of 1,020m2 of interiors and refurbishment of the remaining 980 m2. 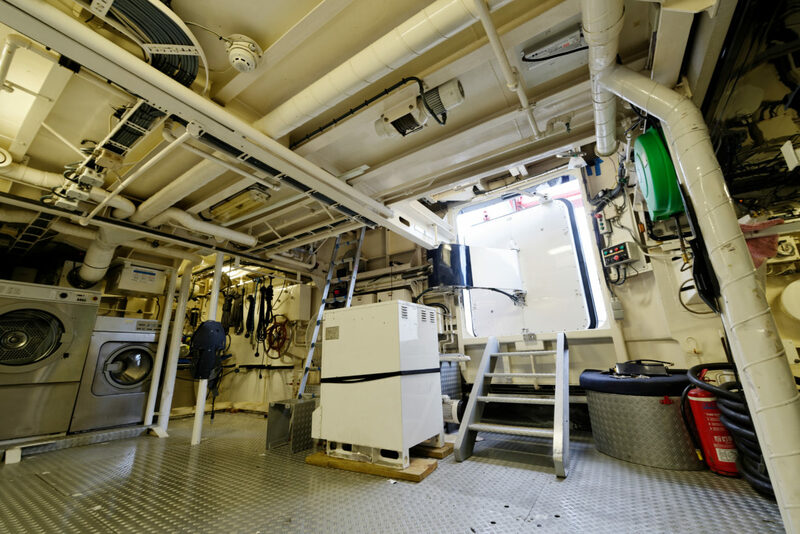 · in the engine room, systems resign, new generator set and new MMEE and power train, allowing a speed increase from 15 to 19 knots. The external lines and layout have been largely redesigned, introducing new elements in all the external decks and a new pool on the sundeck; along with new side doors, a new relaxation area created at the stern, together with a flood-able tender garage that can be converted into a pool with 90,000 litres of heated sea water. The external appearance has been completely renewed thanks to the replacement of the teak decks and to the total paint job. Furthermore, the electrical, navigational and entertainment systems have been realised and modernised. The project, started at the end of 2014, was completed at the start of 2016, lasting just 16 months with works being performed in record time. 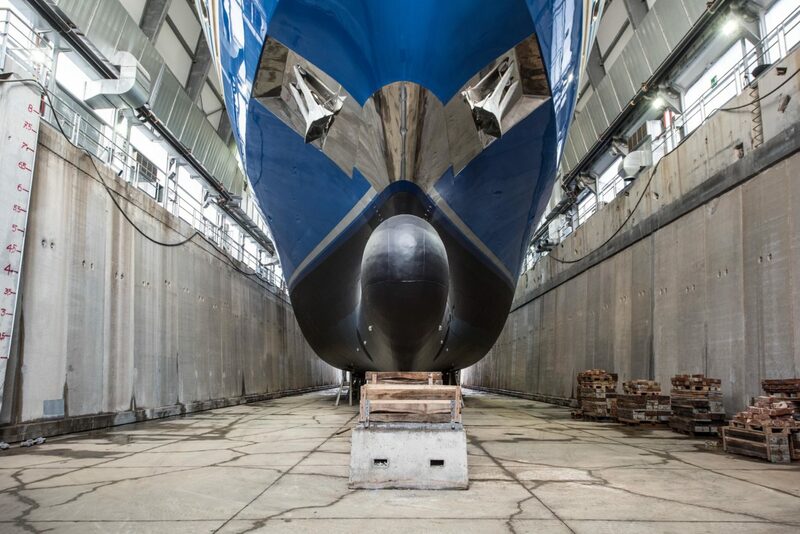 This situation however did not stop the yard from working on a further 103 refitting and service projects on yachts from 28 to 100m in the same time period. 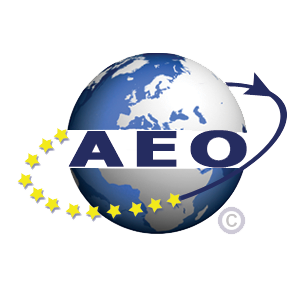 For Amico & Co, PY Queen Miri represents an important confirmation of its standing at an international level in the mega yacht sector. Amico & Co in 2014 was third in the global rankings of the refit sector, and thanks to this project will further improve its position in 2015. 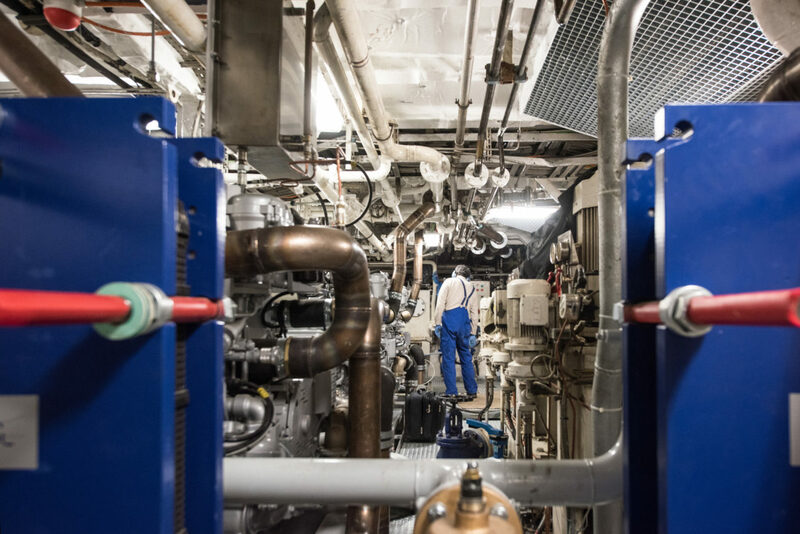 «We are proud of the success of this project which is a further demonstration of the capability of the Italian companies and a confirmation of the validity of Made in Italy, much of which is now found on board Queen Miri» commented Alberto Amico, President of Amico & Co.